Click on thumbnails below to enlarge and download high-res photos. 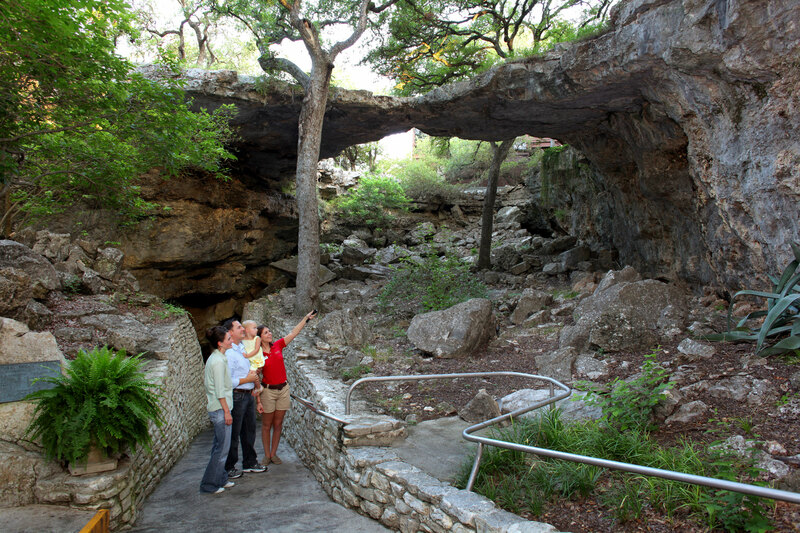 For inquiries and the latest news, please contact our media relations team at info@naturalbridgecaverns.com or 210-651-6101. 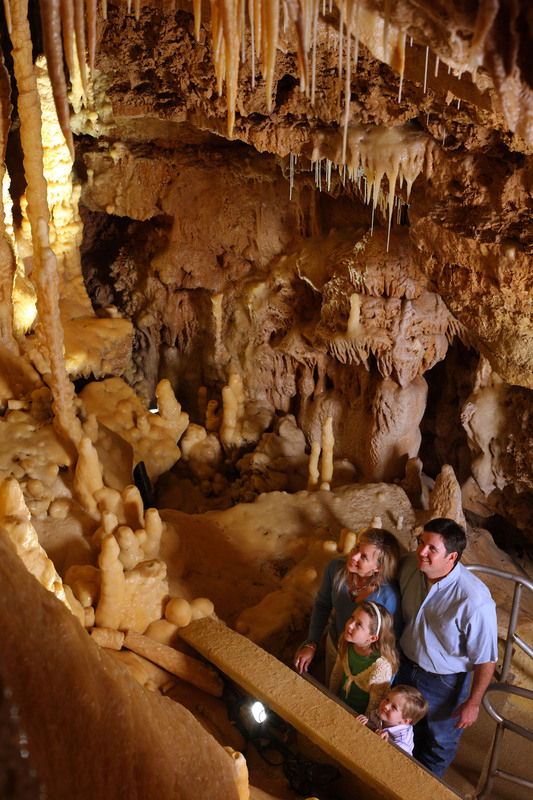 The entrance to Natural Bridge Caverns Discovery Tour and the name sake "Natural Bridge." Emerald Lake is a very active part of the cavern, with a nearly constant drip of water supplying the glistening surface of the flowstone that surrounds the pool of water. The water in Emerald Lake appears green due to the refraction of light through the pool. Rimstone pools and a magnificent flowstone formation called the Bomb Burst grace the entrance to the Castle of the White Giants. 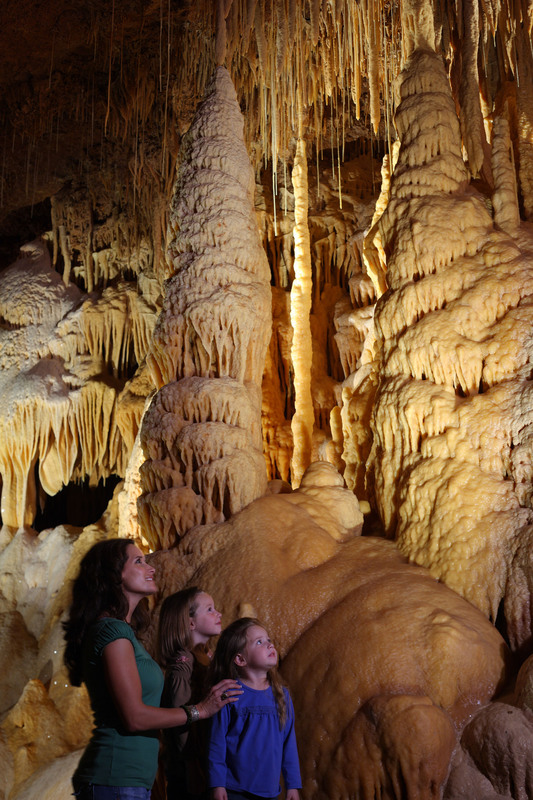 The room is 50 feet tall, 50 feet wide, and 250 feet long – the second-largest room in the caverns. 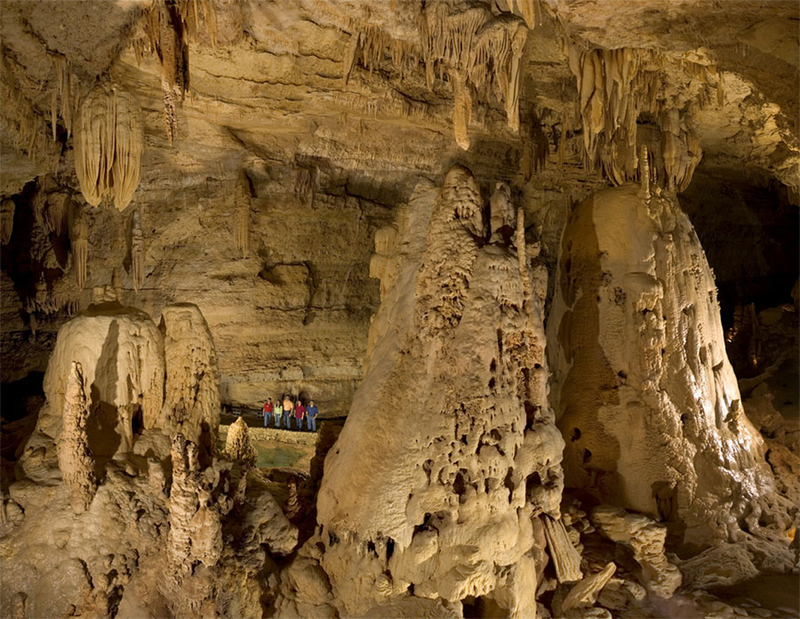 The Watchtower is the tallest column in Natural Bridge Caverns, spanning the 50 foot height of the Castle of the White Giants. A look back into the Castle of the White Giants provides a closer view of the Chandelier (left) and the back of the Mount of the Landlord (right). 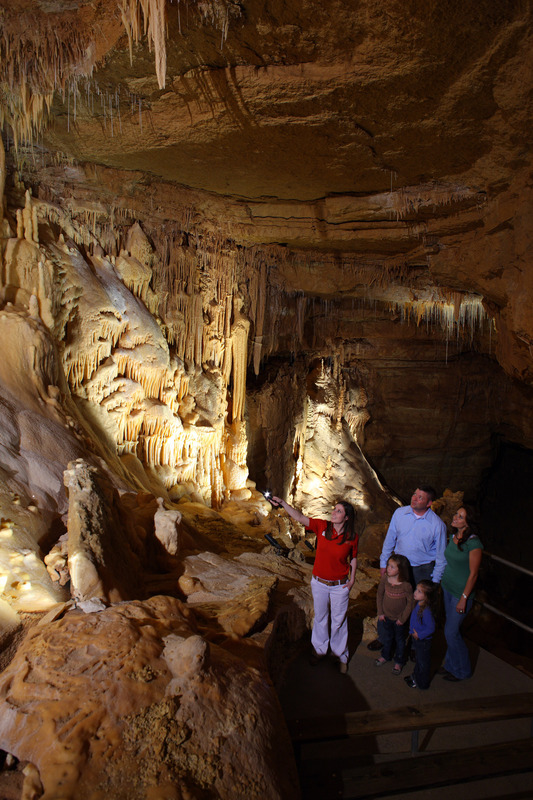 The Hidden Passages Tour takes place in a section of the cavern discovered several years after the opening of the original Discovery Passages. 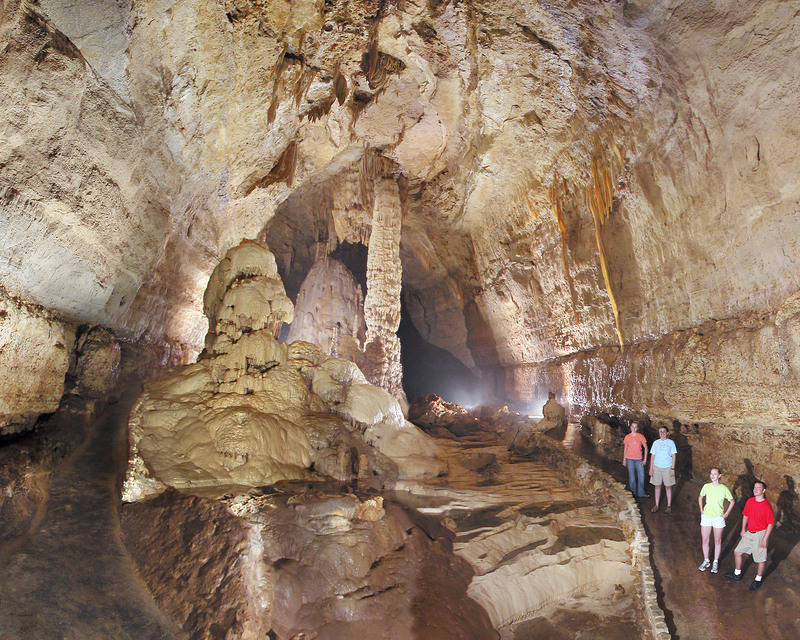 Smaller groups and a close-up view of fragile and rare formations make this tour a more personalized experience. The Tour through the Hidden Passages features a state-of the art lighting system that dramatically highlights the special features of the cavern. It also features a brief "total darkness" experience. Translucent flowstone sparkles under the countless formations in the richly decorated chamber called the Cathedral Room. 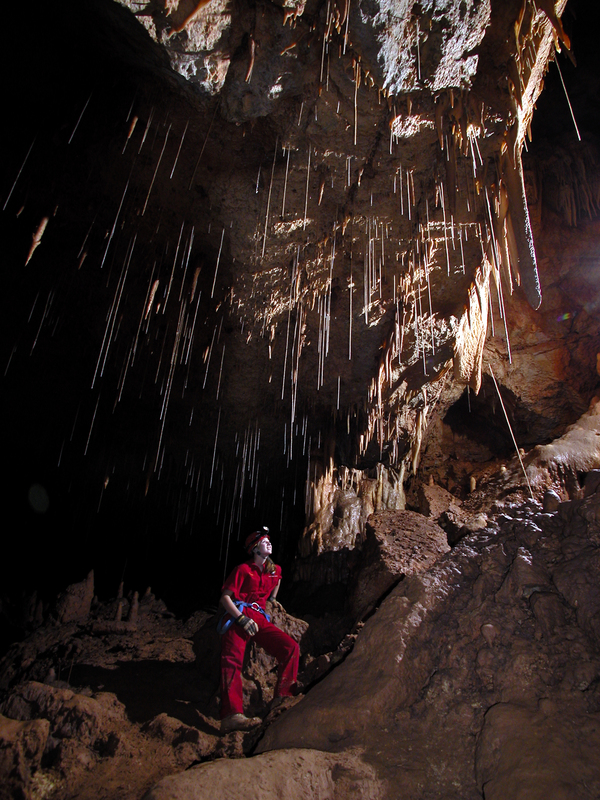 A state-of the-art lighting system uses light and darkness together to draw attention to unique and delicate cave formations. Densely packed formations in this area provide a close view of many varieties of formations at once. Strips of "cave bacon" are colored by organic acid from the soil above the cave. 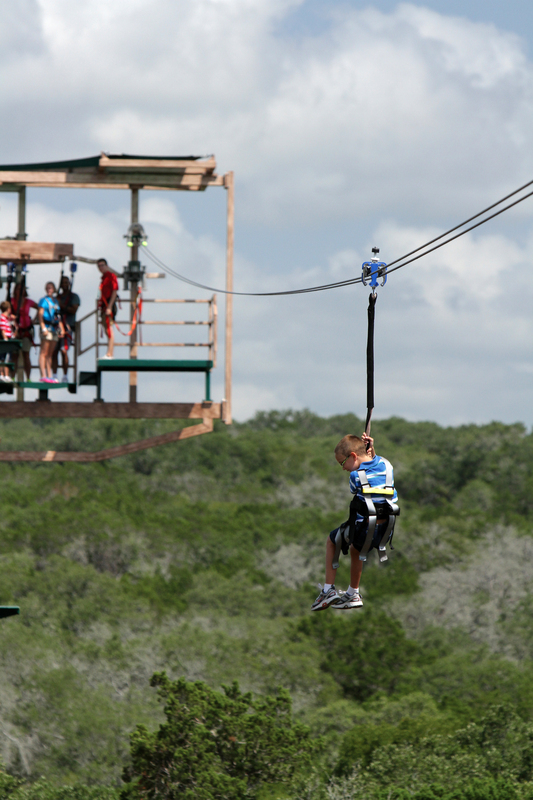 Take a ride on one of our four zip lines, gliding high above the Texas Hill Country. 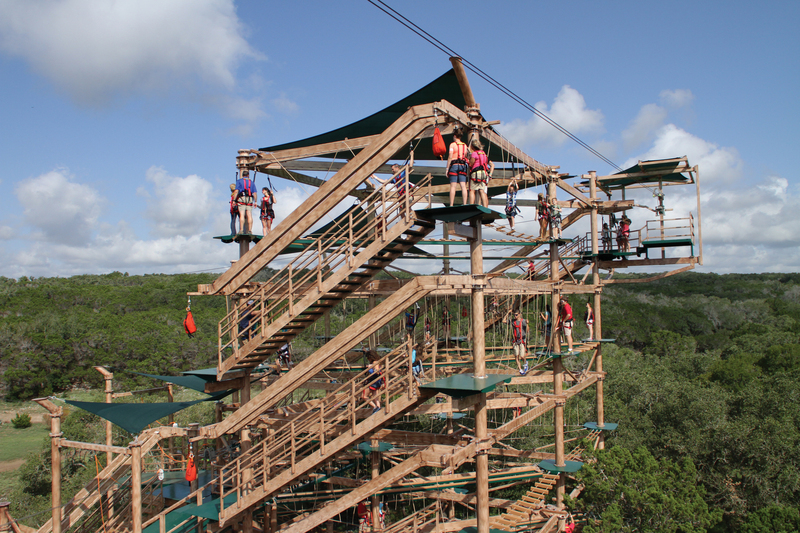 Snap in to your harness, step to the edge of the zip line platform, raise your feet and sail across the landscape. The thrill of the ride is matched by the beauty of your surroundings, a natural experience of flight. 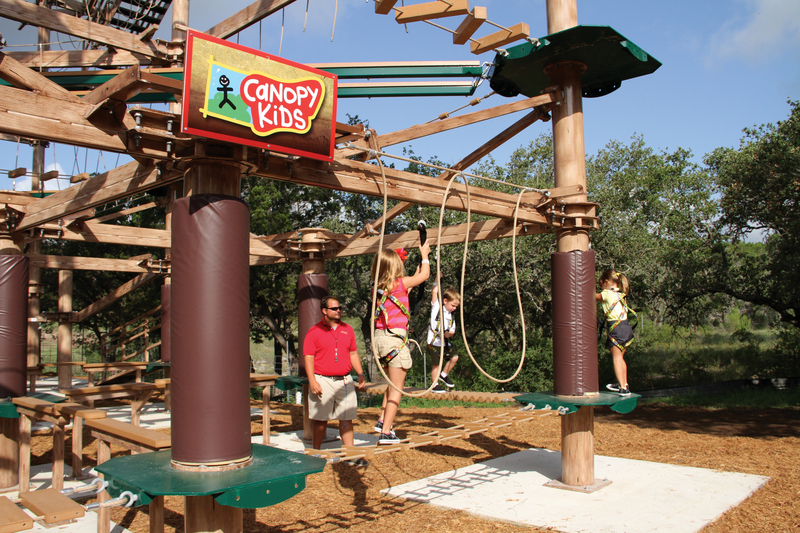 Just for the little ones, there's also a Canopy Kids Course that's specifically designed for toddlers and young kids. 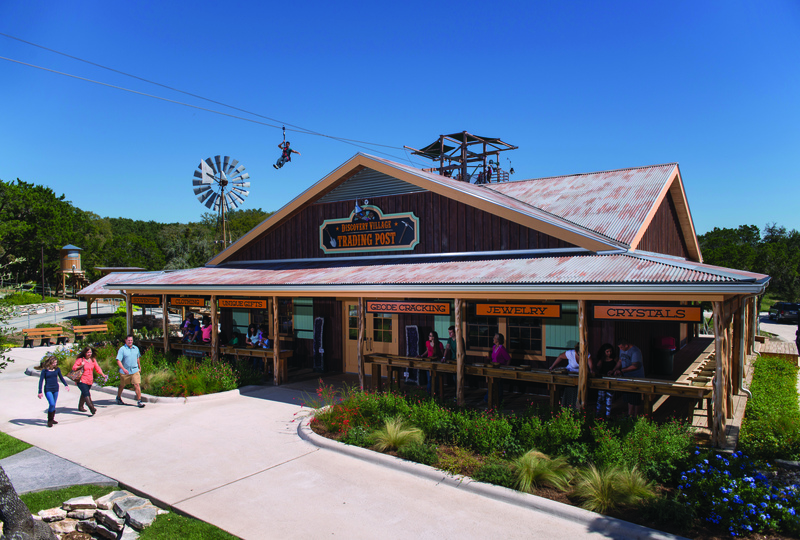 The Discovery Village Trading post features one of Texas' best collections of rocks and minerals from all over the world. An educational experience even just browsing, you'll find decorative stones, collectible minerals, works of art, Amethyst Cathedrals, souvenirs, and stone jewelry. 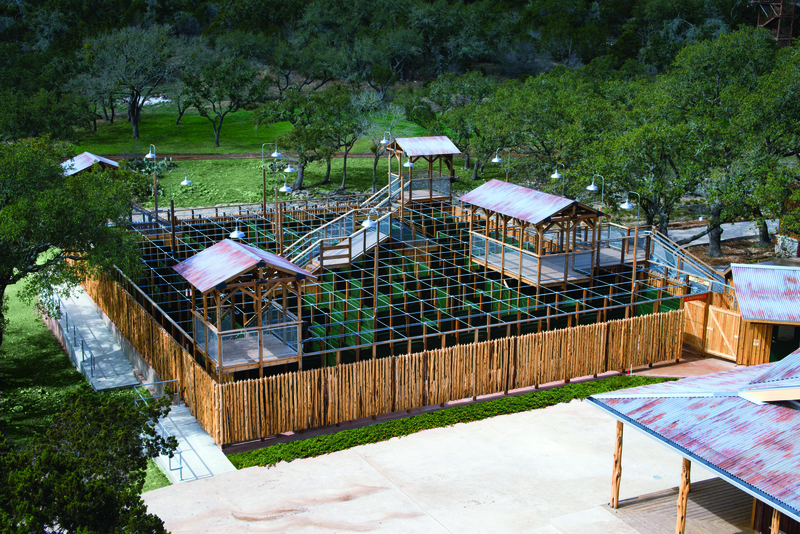 The AMAZEn' Ranch Roundup is a unique family friendly maze experience built to honor 5 generations of ranch ownership history in the Natural Bridge Caverns family.Designed using real ranch materials, Amazen Ranch Roundup is one of the only dynamic, permanent outdoor mazes in Texas. 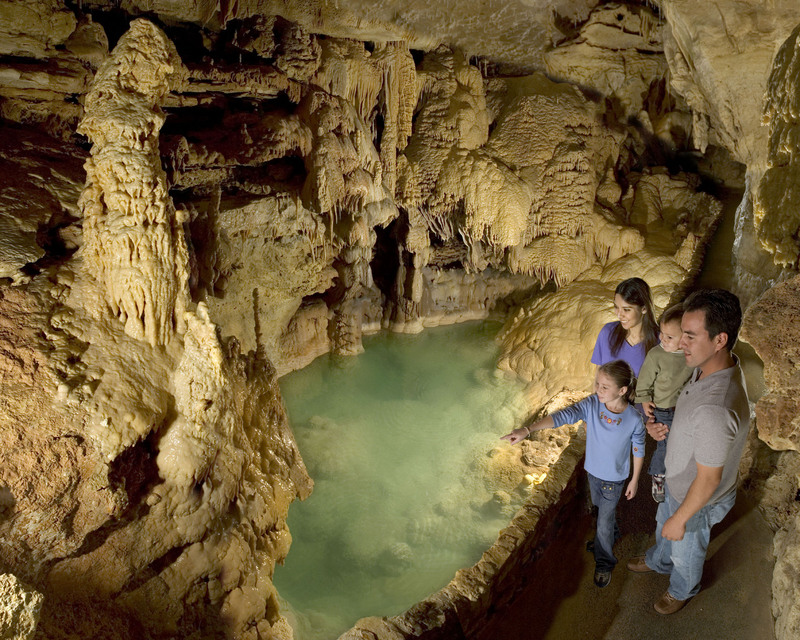 After exploring our caverns and running through the maze, some hand-dipped ice cream and sausage on a stick is going to sound really, really good! 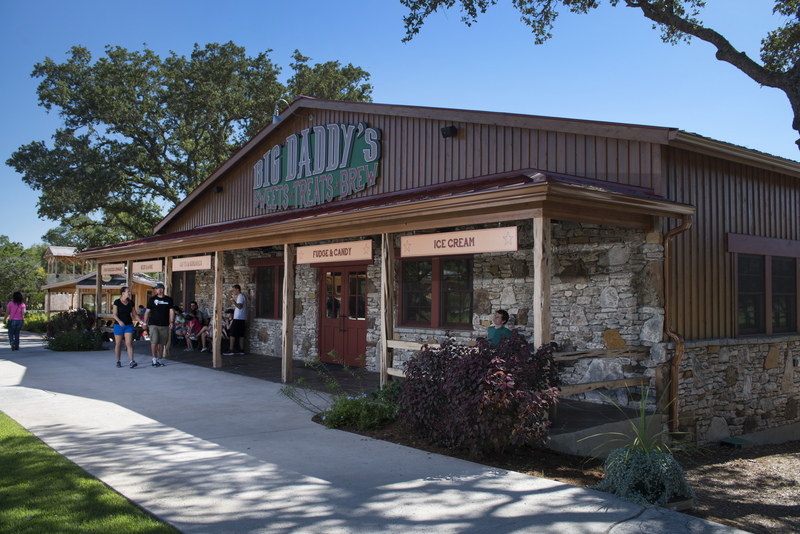 Stop by our old-fashioned soda pop and general store, Big Daddy's Sweets and Treats. 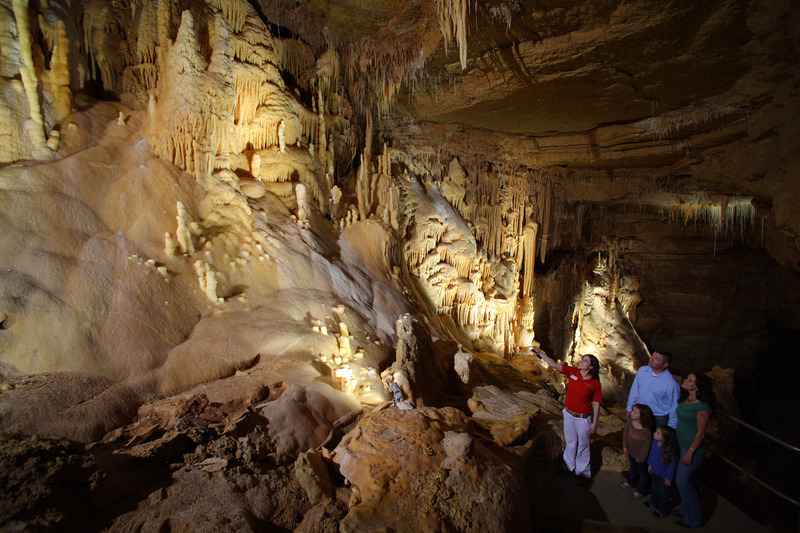 The "Big Daddy" name is in honor of Harry Hiedeman, one of Natural Bridge Caverns' principle founders and developers. 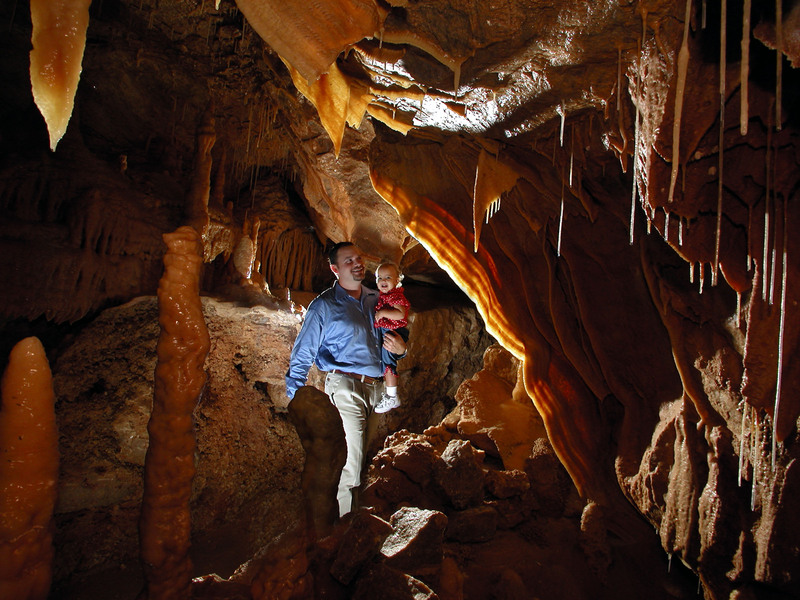 Amethyst, rose quartz, emeralds and other treasures are awaiting discovery at the Natural Bridge Mining Company. Guests purchase a bag of "rough" which they then pour into screen-bottomed baskets. Flowing water reveals sparkling gemstones, arrowheads, or even fossils. 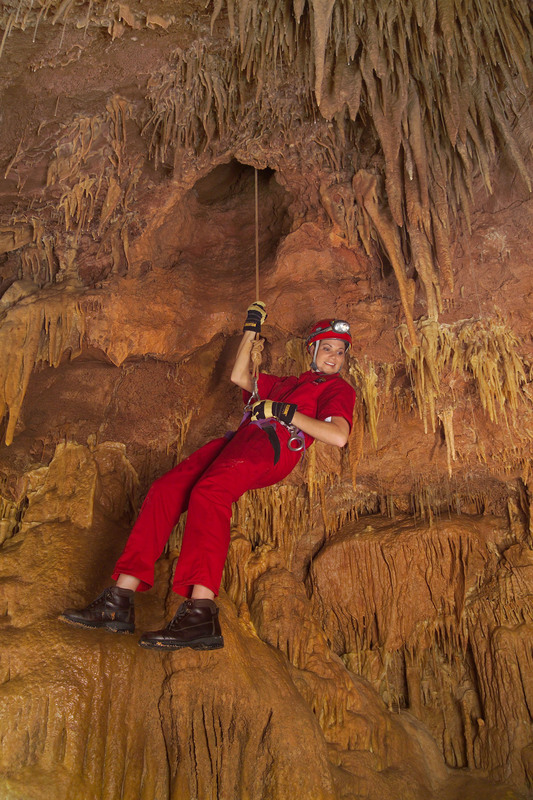 The wild cave portion of the Discovery Adventure Tour presents guests with a number of challenging obstacles. 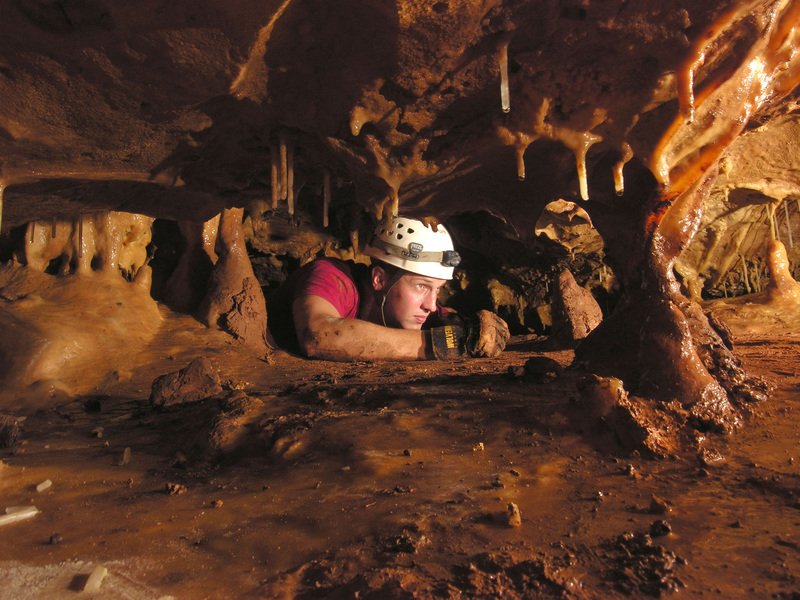 Included on the tour is a 25-foot free climb up a mud-covered slope, a 50 foot belly crawl through an area known as the Birth Canal, and a short traverse over a pit. 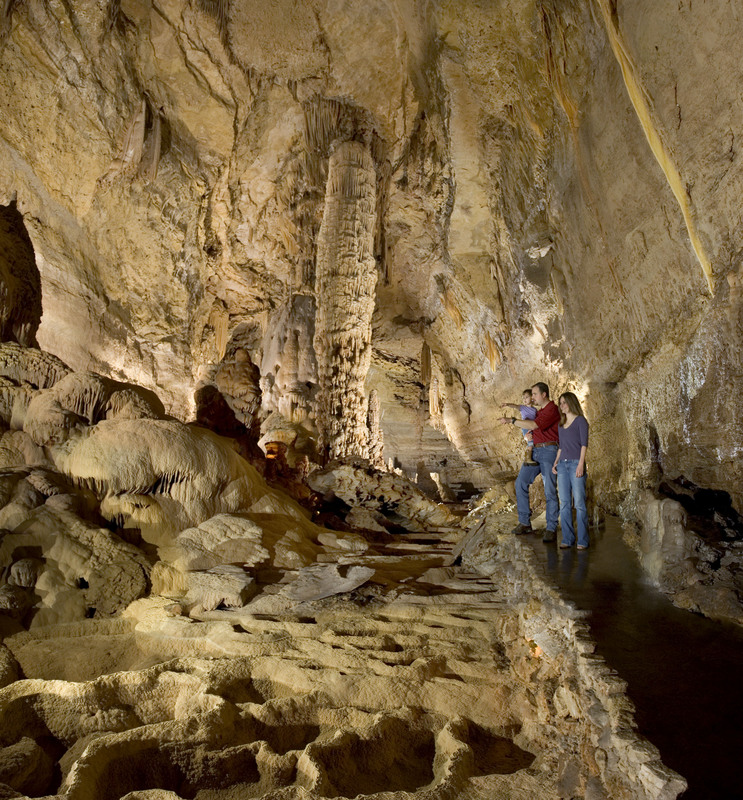 The Hidden Passages Adventure Tour possesses soda straw formations in excess of 6 feet long. The last room of the cavern, the Fault Room, features a number of faults plus the longest soda straw formation in the cavern. At 14 feet in length, this soda straw is among the longest in North America. Guests on the Hidden Passages Adventure Tour are lowered into the cavern on a rope by winch through a 160 foot deep well shaft. The shaft entrance emerges in the spectacular Cathedral room. Your favorite carols performed live in our majestic underground chambers.